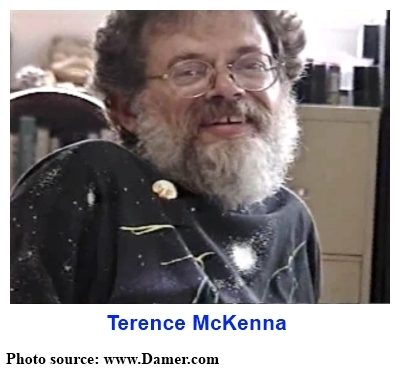 Posted in Consciousness, Creativity, Culture, Evolution, Future, Language, LSD, Psychedelics, Terence McKenna (mp3). Thanks Lorenzo…and I hope the lazies dont take over your life. Check out this podcast specifically about that subject. Hope it it recieved with love. Good job on preserving these precious recordings. BTW Revlin – it’s definitely a watch this space on the speed of light thing – TM may well have been onto something there. Thank you for the great work you are doing with this podcast. I think of all the great talks you have digitized from cassette tapes. You say this one was from 1984(?). The physical tape itself was probably not long for this world, and to have it digitized and available to anyone with the equipment to hear it is a miracle. i found this to be one of McKenna’s most essential talks to listen to. i love his direct and fresh delivery from these classic tapes from the early 80s…. endless thanks for bringing these crucial musings/prophecies to the surface Lorenzo! Hey Lorenzo: Thank you for all of the pleasant talks. McKenna is always great. I hope you have more Tim Leary, Jiddu Krishnamurti & perhaps Aldous Huxley talks that you will share eventually. The email I left is incorrect BTW. You made my day, Lorenzo!! Thank you for all you do — You are a true blessing!! Thanks for another Terence podcast Lorenzo!